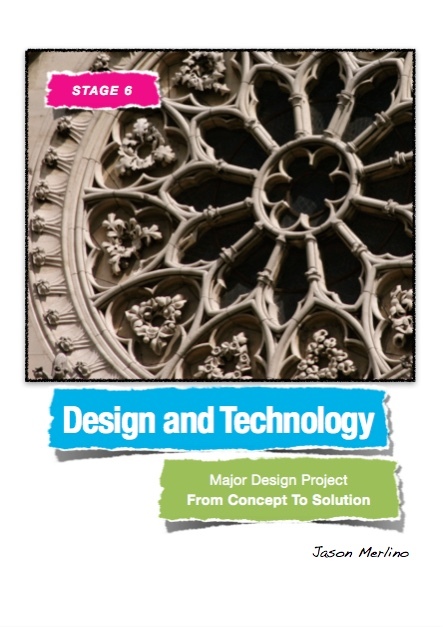 Design and Technology - From Concept to Solution is an eBook that has been written with the student in mind. 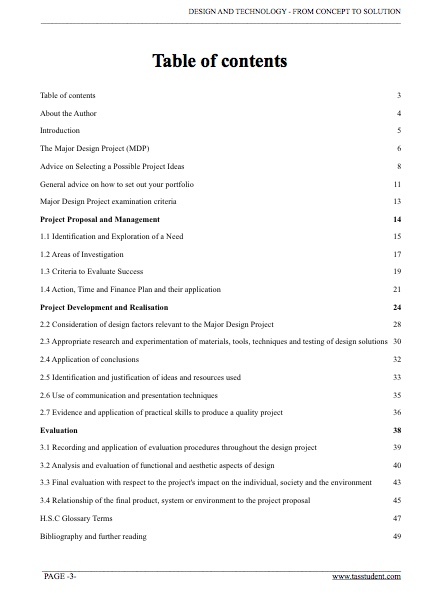 It is filled with advice and tips designed to assist you in setting out your Design and Technology portfolio so that you cover all the essential areas of your design. 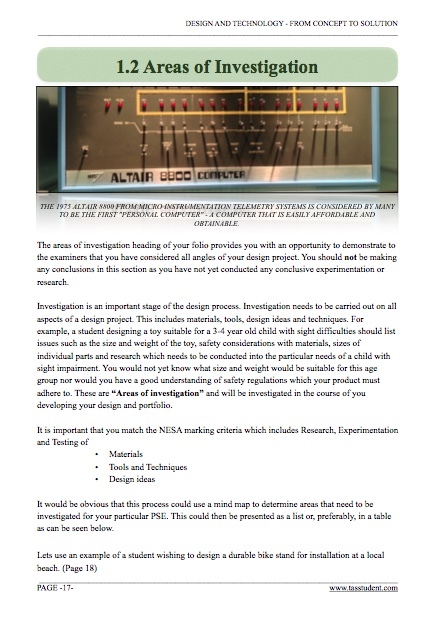 It is vital that you to set out your information in a clear and logical way so the markers will find the information easily in the limited time they have to grade your work. 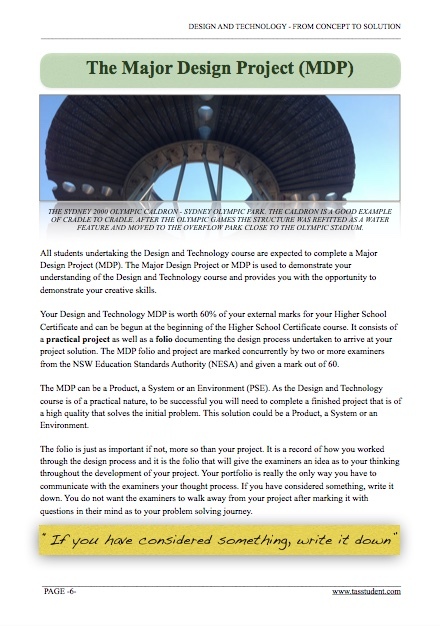 50 pages packed with content including web links, examples of student work and interesting design concepts, "Design and Technology, from concept to solution" will be an invaluable tool for your H.S.C year.